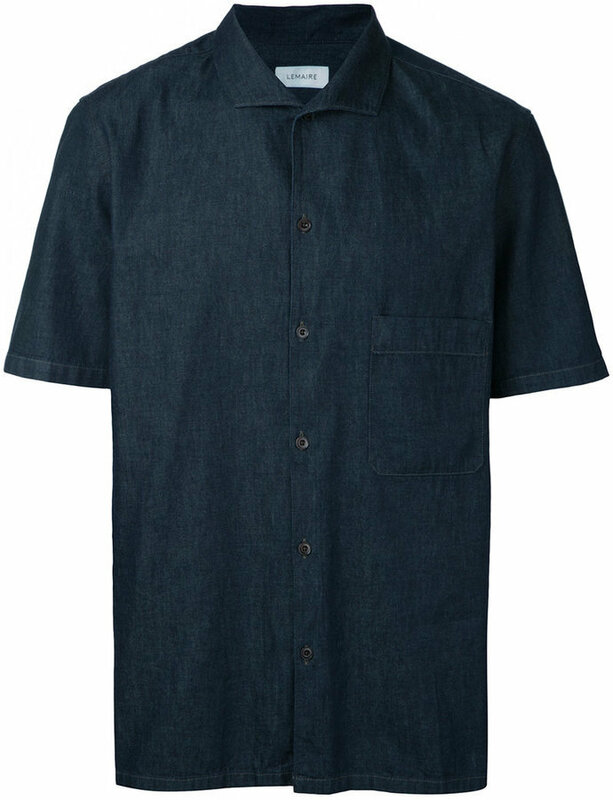 If you're after a casual yet sharp ensemble, try teaming a Lemaire short sleeve shirt with navy jeans. Both garments are totally comfortable and will look great together. Play down the casualness of your getup with brown leather brogues. 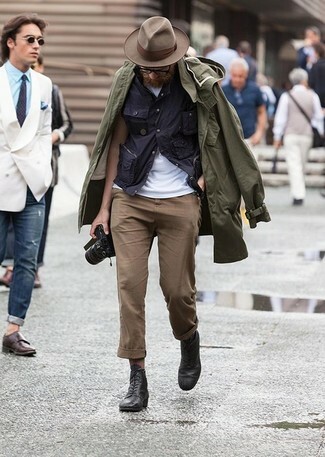 If you're on the lookout for a casual yet seriously stylish getup, wear a Lemaire short sleeve shirt and khaki chinos. Both pieces are totally comfortable and will look great together. 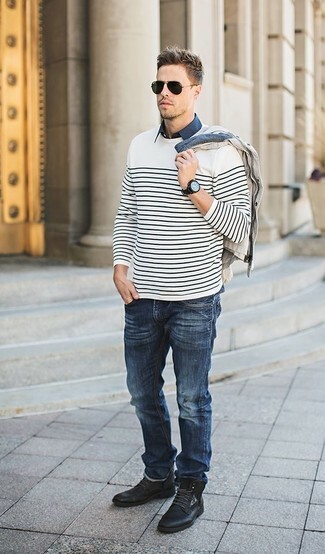 Sporting a pair of navy suede derby shoes is an easy way to add some flair to your outfit. 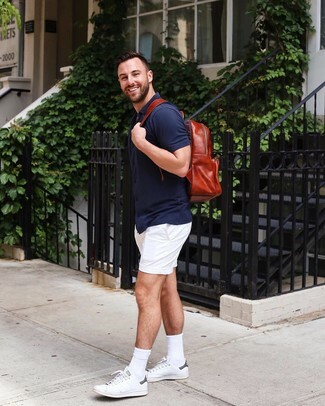 This casual pairing of a Lemaire Short Sleeve Shirt from farfetch.com and white shorts is a winning option when you need to look neat and relaxed but have no extra time. 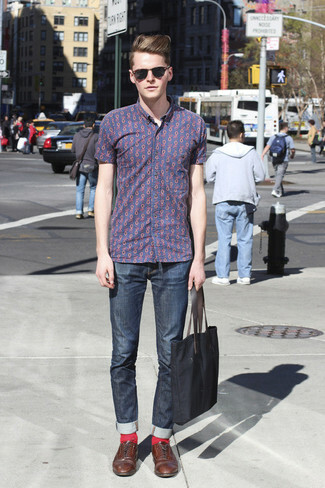 This look is completed really well with a pair of white leather low top sneakers. 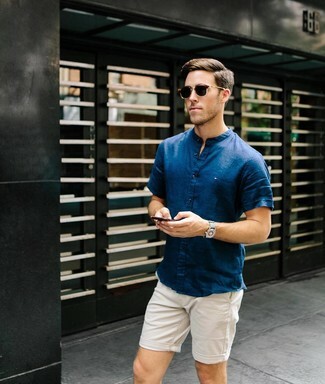 If you're after a casual yet dapper outfit, consider pairing a Lemaire short sleeve shirt from farfetch.com with white shorts. Both pieces are totally comfortable and will look great paired together. 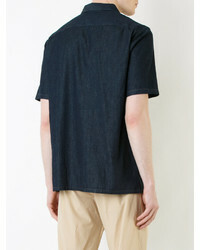 For an everyday outfit that is full of character and personality dress in a Lemaire short sleeve shirt and navy jeans. Got bored with this getup? Enter black leather casual boots to switch things up. 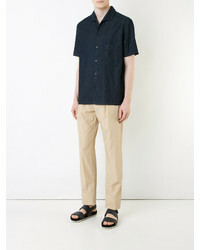 Stand out among other dudes in a Lemaire navy short sleeve shirt and beige shorts. 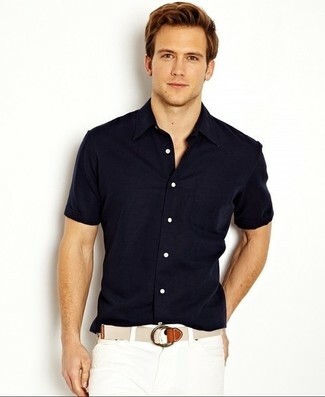 If you're searching for a casual yet stylish ensemble, dress in a navy short sleeve shirt and grey chinos. Both items are totally comfortable and will look great together. 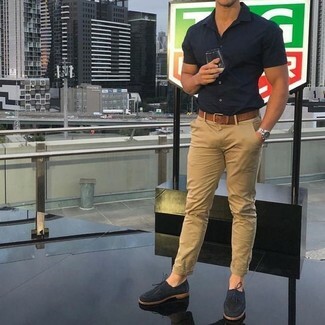 When it comes to footwear, this look is finished off nicely with white leather low top sneakers. 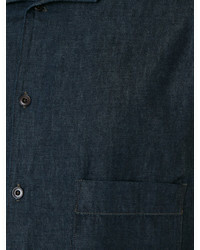 If you're on the hunt for a casual yet seriously stylish getup, team a navy short sleeve shirt with beige chinos. Both garments are totally comfortable and will look great paired together. If you're searching for a casual yet dapper getup, pair a Lemaire short sleeve shirt with brown chinos. Both garments are totally comfortable and will look great paired together. Sporting a pair of black leather casual boots is a simple way to add some flair to your getup.